In the forest, at the bottom of a deep pool, Iron John, wild, covered in rust-coloured hair, head to toe, awaits… you. Your trusty dog? Has disappeared. Thirty other hunters? Have all disappeared. Will you go, find what lies out there, deep in the forest? 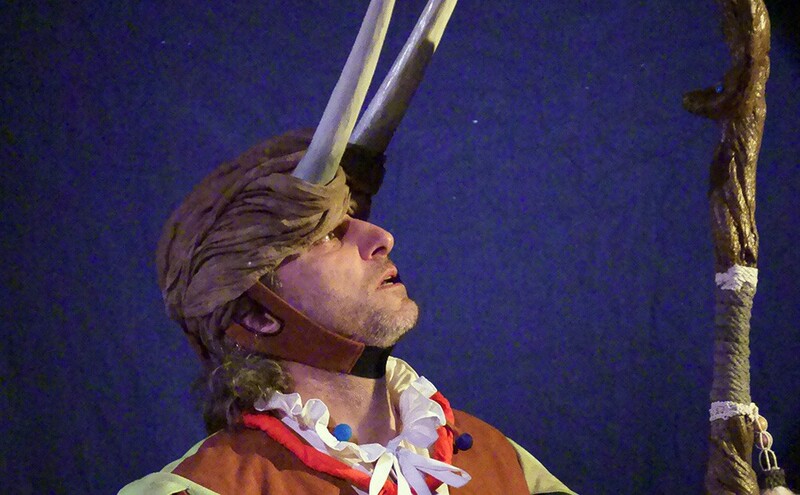 Award-winning performer and writer Jonathan Brown takes you on a new wild, newly-discovered each performance theatrical telling of this ancient myth, including improvised aspects, live musical score (Dave Molz), and in-the-moment plunges into archetypal worlds. Jonathan won Best Male Performer Brighton Fringe 2013, Best New Play, Brighton Fringe 2012, Best Male Performer Nominee Fringe 2007, Best New Play shortlisting, Fringe 2013. Andrew Miller, co-director, Wishworks Puppet Theatre Company. Selkie Wife. Late one night, a young fisherman sees the selkies, seal people, dancing on the beach. Hiding the skin of a beautiful selkie maid, so she cannot go back to sea, he asks her to marry him. She agrees, but he keeps her seal skin hidden in a chest, keeps the key around his neck. One day he’s out fishing, she discovers that he has forgotten to take his key.